You could say the book has spread like wildfire. 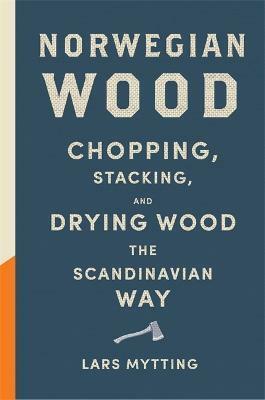 For the world's first comprehensive book about firewood is high in bestseller lists in Britain and generating heated discussions online and in pubs, offices, cafes and bars - about logs, log-piles and the best fire. Daily Mail. Lars Mytting, a novelist and journalist, was born in Favang, Norway, in 1968. His novel Svom med dem som drukner (published in English as The Sixteen Trees of the Somme) was awarded the Norwegian National Booksellers' Award and has been bought for film. Norwegian Wood has become an international bestseller, and was the Bookseller Industry Awards Non-Fiction Book of the Year 2016. His novel The Bell in the Lake was a number one bestseller in Norway and nominated for the Norwegian National Bookseller's Award 2018.